Welcome to the July edition of Together We're Better. NEW PFCC Liaison at ACH! Please help us welcome Sandi Oelhaupl to our PFCC Team as a Patient and Family Centred Care Liaison. 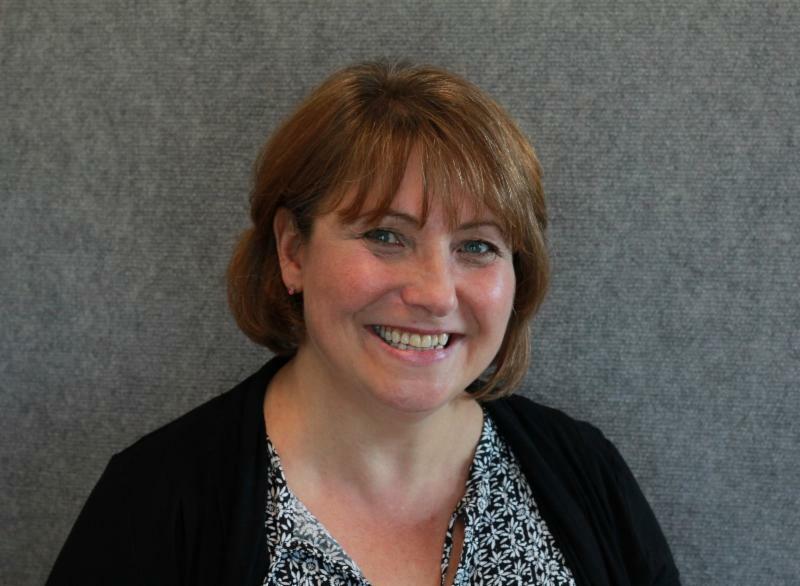 Sandi has been a volunteer Patient and Family Advisor for over 16 years and brings a wealth of experience and skills navigating the health and education systems. She also has experience as a casual staff member with our team for the past 1.5 years. I'm excited to come on board as a regular staff member with the PFCC team! I'm thrilled to extend my capabilities and to support patient and family engagement in our healthcare system, comments Sandi. During her volunteer tenure, Sandi has given her time and experience to various committees including the original ACH Family Advisory Council, the Student Health Partnership Operations and Steering Committees, Rockyview General Hospital Renovations Committee for NICU, New ACH Building Planning Committee, ACH Parents as Partners Working Group, ACH Family to Family Connections, ACH Family Bedside Orientations, and more recently the Calgary Zone Healthcare Planning Committee. Sandi has been married to Dan for 27 years and they have three children, Kyla (18) who has Cerebral Palsy, Joshua (16), Ashley (14) and their beloved dog, Dixie. 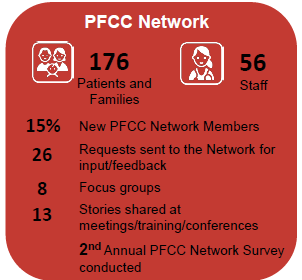 Our year end numbers are in for Patient and Family Engagement at ACH! Our patient and family advisors clocked an impressive 3120 hours - an 18% increase from last year. Our advisors have filled 84 positions on Councils and Committees and another 35 positions on working groups or focus groups. Over the year, they responded to 26 requests for input/feedback via email. Please click here to see the whole report. Shaw Communications has selected the Alberta Children's Hospital Foundation as an Official Charity Partner of the 2017 Shaw Charity Classic. The Alberta Children's Hospital Foundation is also participating in Birdies for Kids presented by AltaLink, where all donations will be matched up to 50%. Proceeds from both of these initiatives will support Patient and Family Centered Care initiatives at the Alberta Children's Hospital. The Shaw Charity Classic is an event for the whole family. Watch some of golf's most recognizable and accomplished players. In addition to Juniors activities throughout the tournament, there is a special Kidzone with fun activities geared towards little spectators! Click here to purchase tickets and use Discount Code ACH17 when prompted. Day passes for ACH17 supporters start at just $20! Kids 17 and under are admitted free with a ticketed adult. 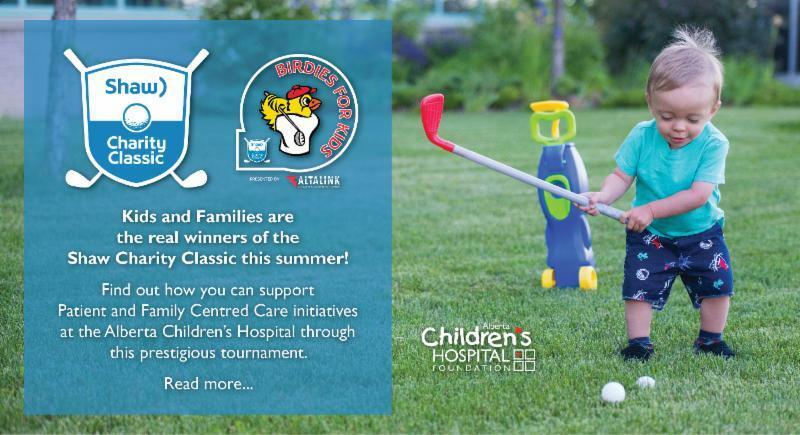 Birdies for Kids is a generous matching program by which you can donate to the Alberta Children's Hospital Foundation and have your donation matched up to 50%! Click here and be sure to designate your gift to the Alberta Children's Hospital Foundation. 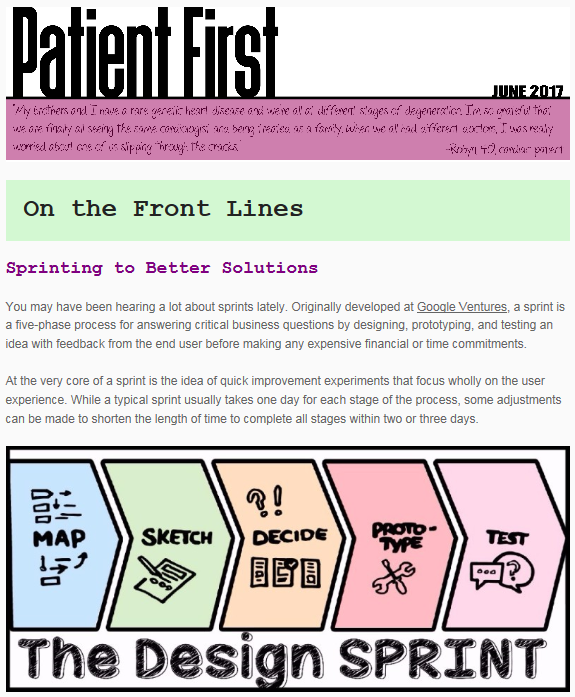 Check out the NEW Patient First PFCC newsletter that our provincial Engagement & Patient Experience Team has put together! This will be a bi-monthly communication ... to view the newsletter and subscribe, please click here.